You've probably already discovered the joys of eBooks, but did you know that there are many titles available at no cost? The exact process of getting free eBooks on your device will vary depending on where you get them, but, trust us, it isn't difficult. Here are our favorite places to find free eBooks online. Project Gutenberg contains a collection of eBooks that are in the public domain as well as free, self-published works—and with a total of 42,000 books on file, there's plenty to choose from! You can search the catalog or, if you're not sure what you're looking for, start by browsing the site's most popular books. 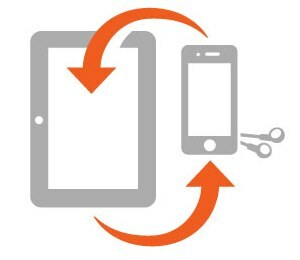 Project Gutenberg offers instructions on how to load their books onto many different devices (though they don't support the Kindle Fire): visit their help page and look for your device to get started. ManyBooks is similar to Project Gutenberg and contains many of the same public domain books. However, the website is a bit easier on the eyes and contains a number of features to help you discover books, like recommendations and lists of what's most popular each week. For instructions on how to get your books onto your device, visit their help page and click on your device type. Amazon may be best known for selling books, but they also have a large selection of free books as well. If you use a Kindle eReader, Kindle Fire or the Kindle reader app on your smartphone, tablet or computer, getting books directly from Amazon will be your easiest option. Amazon provides both public domain works and special deals, and if that's not enough, they also recommend a number of other places to find free books (including Project Gutenberg and ManyBooks). And, while not exactly free, if you own a Kindle and have paid to subscribe to Amazon's Prime service, they have a lending library of books, as well. It is stocked with more than 270,000 books, including more than 100 titles that are or have appeared on the New York Times best sellers list and all 7 Harry Potter books. If you prefer bookseller Barnes & Noble to Amazon, they also offer a selection of free titles. If you own a Nook or use the Nook app to read on your smartphone, tablet or computer, getting your books directly from Barnes & Noble will be your easiest option. Not enough books? The MobilRead Wiki provides an extensive list of free eBook sources. If you think of the library as an out-of-touch place where paper books are the name of the game, think again: nearly 90% of libraries offer some kind of eBook lending, and yours could be one of them! But just like checking out a physical book, you'll need a library card. What's available and when it's available will vary depending on your library, so we encourage you to check your local library's website for all the details. But if you're having trouble finding anything you can also search on OverDrive, which provides most libraries with ebook services—just enter your zip code under Library Search to see if your local library participates. To read eBooks from OverDrive, you'll need to download their app (for Windows, Mac, Android, BlackBerry, iPhone, iPad, or Windows Phone), but once you have it and have set up your library information, any books in your library's collection will be easy to access. LibriVox provides audio for books in the public domain, read and recorded by a volunteer staff. Search their catalog to find anything you're looking for–you can then download it in MP3 format, which any digital media player should recognize. If you're having trouble, they provide step-by-step instructions on how to download files and how to listen to files. Project Gutenberg, mentioned earlier, also provides a number of audiobooks, both read by people and read by computer. If you're an Amazon user, they have a Kindle feature called Whispersync for Voice which allows you to alternate between reading and listening to eBooks purchased from Amazon. If you've downloaded a free book from Amazon that features Whispersync for Voice enabled, you can also download the eBook from Amazon's eBook partner, Audible. And if you like what you hear, you can sign up for a free Audible trial which will give you a free eBook of your choice—and a wider selection than Amazon's free options. Now you're have all the tools that you need to get great digital books for reading or listening without paying a dime. Happy reading! I have pretty good luck with Bookbub.com amd Inkmesh.com. If you have Comcast you might be unable to download books from the Project Gutenberg site because conveniently all those IP addresses are blocked and the only way to get them is through a vpn or a proxy that go through an European country like the TOR network. Really shameful to force us to “buy” something that is free for everybody else. Can you provide more detail on what message you get trying to access Gutenberg from Comcast? We’re not finding anything about Comcast blocking that site from our searches on the Internet. I don’t think it’s Comcast’s fault. I can get to the site, but when I try to “search” for a book inside the Project Gutenberg site, I get the message that my IP address is listed as a “mass download” or a “Robot”, something that I have never done in that site, and according to their convenient rules, it is automatically blocked. Of course, “contacting” them is useless, our “ugly american” emails are simply ignored. The problem you have may be Comcast related. It’s possible that your IP address was used by someone for malicious purposes or to scrape data in the past. Comcast may have terminated their account and then reassigned that IP address to someone else (i.e., you). It may be worth contacting Comcast, explaining the problem, and see if they can assign you a new IP address. We actually do the same thing on Techlicious. When we get a lot of comment spam from an IP address, we’ll block that address from accessing the site. Some of those addresses have been Comcast accounts. 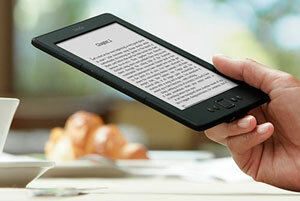 If you want free books for kindle check this site, as of today, they have more than 34,000 free e-books for kindle. Here is a great site to try: www.hundredzeros.com They have both free and priced books and a good selection. This is my favorite site. You can filter the books by genre if you are looking for a specific type. There is also a price watch section that will email you if Amazon lowers the price on a book you are watching. I’m sorry. I guess I did that wrong. The website is http://www.ereaderiq.com/free/ . I get daily emails from ebookDaily.com. When you sign-up you can pick your favorite genres. There is an option for any epub book. The option I use is one for free Amazon books. You can also select which days you want to receive the email. I tried many other sites but since I own a Kindle I only use: http://www.freebooksifter.com these days! All the free eBooks on Amazon up to date! There is no easier site! This one also covers all local Kindle stores like France, Japan, China. Fresh freebies every day. Especially nice feature: If you’re waiting for a certain book to become free, search for the title or the author, and subscribe to the RSS feed on the results page to be notified once there are any search results. I would recommend you to buy a subscription in Amazon or other reliable supplier, because prices are adequate for many and in this place every month you get a book with no additional cost (even the book price is bigger). In order to choose what to listen I sugest you to use http://bestaudiobooksreview.com, where you can find books, that influenced most successful people. I would say that free cheese is only in a mousetrap.